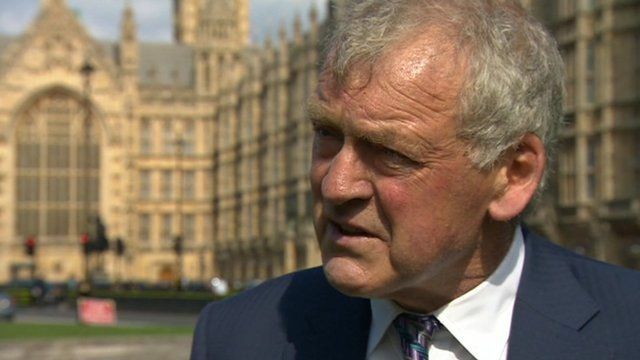 Assisted dying bill is care 'alert' Jump to media player An MP opposed to plans to legalise assisted dying says the bill highlights the "appalling" state of end-of-life care. 'Dangerous' to allow assisted dying Jump to media player An expert in end-of-life care says a bill to allow assisted dying is "too dangerous" and "close to euthanasia". Terminally ill are 'denied choice' Jump to media player A friend of a former north Wales councillor with terminal cancer who went to Switzerland to end his life urged MPs to legalise assisted dying. Assisted dying law change concerns Jump to media player Concerns about changing the law on assisted dying are raised by a Swansea doctor. Assisted dying 'a dangerous path' Jump to media player Paralympic multi-gold medallist Baroness Tanni Grey-Thompson, has spoken out against the legalisation of assisted dying, warning that a bill proposed by Former Labour Lord Chancellor Lord Falconer does not have "adequate safeguards". Hawking backs assisted dying bill Jump to media player Professor Stephen Hawking has backed Lord Falconer's Assisted Dying Bill which is set to be debated in the House of Lords on Friday. An MP opposed to plans to legalise assisted dying says they highlight the "appalling" state of end-of-life care. Montgomeryshire Conservative member Glyn Davies is hoping to block the bill at its second reading in the House of Commons on Friday. Mr Davies said he was concerned it put a "different value" on the lives of terminally-ill, elderly and disabled people. But he added that the bill had "alerted us" to the "pretty hopeless treatment" for people reaching the end of their lives.